On 14th September 2018, the Rwandan Ministers’ Cabinet approved President Kagame’s decision to grant a presidential pardon to the political prisoner Umuhoza Ingabire Victoire. 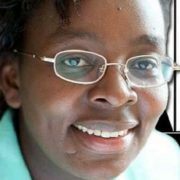 In 2010, Ingabire was nominated by her political party FDU-INKINGi to run in the 2010 presidential elections. At this time, her arrival in Rwanda after several years in exile provoked strong reactions and controversies in the Rwandan political landscape. Her remark at the genocide memorial site in Gisozi turned into accusations of genocide denial. A few days later, the anti-Ingabire campaign began. First, it was the Rwandan Agency of Information that organized a radio debate, mainly focused on Ingabire’s speech at Gisozi memorial site. Many argued that her political aims were provocative and revisionist. Shortly after, all the chambers of parliament called an information hearing to describe the true image of Ingabire. The conclusions of this session recommended an immediate judicial inquiry to be opened against her. In the same time, during an interview with a Ugandan journalist in Kampala, President Kagame denied the status of politician in Ingabire and qualified her as being the same as Alice Lakwena who founded Lord Resistance Army in northern Uganda. Early this year, asked by a journalist of TV5 why the Rwandan government known for its firm commitment to promote the female promotion threatens women who act in political opposition, the Rwandan Minister of Foreign Affairs replied that not all Rwandan women are saints. She said there are also witches. 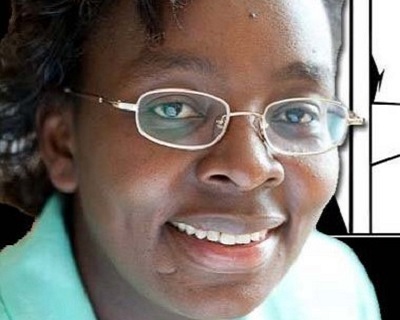 When the Ingabire’s episode of a judicial saga started, the High Court of Rwanda sentenced her to seven years of imprisonment. The sanction was increased by the Supreme Court of Rwanda to 15 years. Recently, the African Court on Human and Peoples’ Rights issued a verdict confirming serious violations in the Ingabire trial and even recommended the government of Rwanda to compensate her. But it should be noted that the government decided to withdraw from the protocol that grants immediate access to Rwandan citizens to bring an action before this court without the government’s prior approval. The Rwandan Minister of Justice accused this court of being instrumentalized by the genociaries. At the beginning of Ingabire’s trial in the High Court, it was reported that she had addressed a letter asking President Kagame for forgiveness. However, she later denied it. Has she asked pardon again? At this time, nothing was said if she has asked for forgiveness once more! In practice, among the charges brought against her, the crime of undermining national security excludes her from the persons who could be pardoned by the President of the Republic. What does her release mean for the political context in Rwanda? Although the decision of the African Court of Human and Peoples’ Rights recognised her profile as a political personality arrested on basis of her ideas, the Rwandan government did not want to implement it. However, it is quite possible that pressures and other different dynamics pushed the government to find ways to get her out of prison not as a victim of a judicial travesty, but as a convicted person who will no longer be able act on the political scene. In this regard, the liberation of Ingabire shows no sign of democratic progress in Rwanda. The political space in the country remains closed. attempts of dissent are suppressed. 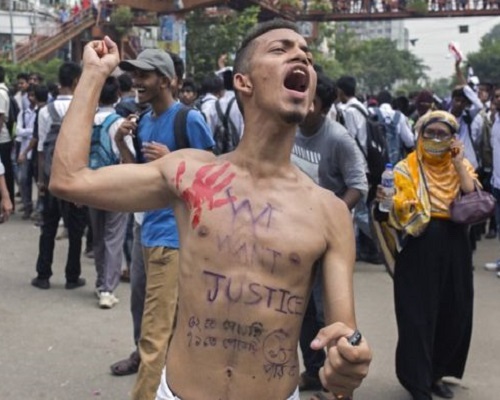 In Bangladesh, mass outrage over two teenagers killed in a road crash escalated into a social movement, with high school students stepping out on the streets, holding placards demanding for road safety and the resignation of the Shipping Minister, Shajahan Khan. Shajahan Khan’s insensitive remarks about the death of the students sparked the outrage. Road safety is a major issue of concern in Bangladesh. Research indicates that last year more than 4200 people lost their lives in road accidents in Bangladesh. Over the past few days, several images and videos have gone viral on Facebook, which testify to the allegations of brutal violence committed by the police and the Bangladesh Chhatro League (the student wing of the Awami League). BCL has been accused of thrashing and molesting journalists. On Saturday, August 4th, mobile internet was suspended for 24 hours and many complained about a lack of connectivity. Many believe this was done to suppress the dissent, since the issue was not being covered enough by local media and subsequently protesters and supporters of the movement went online to share updates, using Hashtags and tagging international media houses’ social media accounts. Many social media influencers reported that they received thousands of emails and messages from Bangladesh. Some social media influencers, including Drew Binsky, uploaded videos expressing their solidarity and concern. Shahidul Alam, a renowned photographer and social activist, told Al Jazeera that the movement is not solely being driven by the demand for road safety: other issues too are causing public dissent. The latest update that Shahidul Alam was detained—as reported by Dhaka Tribune—has since been shared by many people on social media. However, according to Dhaka Tribune, the police have denied these allegations. Earlier the same day, Aparajita Sangita, an online activist, was detained but released afterwards—as confirmed from her Facebook account. We, at the Hague Peace Projects, express our solidarity with the youngsters and condemn the attempt to suppress the voices of dissent through brutal violence, arrest and the suspension of the internet. This interview was made after the panel discussion “Freedom of Expression in Turkey. Challenges for dialogue & peace” during the Freedom Book Fair 2017. Could you tell us a little more about your background and your family? I was born in Armenia and grew up there. At the end of 2013 I moved to Turkey. My family is from Muş, that is a part of Turkey today. They had to leave the region before the Armenian Genocide because of the political pressure and went to Shamkhor, which is part of Azerbaijan today. In the end of 1980’s they had to migrate to nowadays Armenia because of the tensions. Therefore, my family has a kind of migration history. This might be the historical background of how I am connected to Turkey and the reason I am involved in the dialogue process between Armenia and Azerbaijan. Is it the reason to work for the Armenian newspaper “Agos”? No and to be honest it is not even about the newspaper being an Armenian newspaper. But I like the line it is following and the work it does. It is not a traditional newspaper. I like its views and I share them mostly. Actually, do you study and write a Master thesis? Yes, that is right. I am doing my masters, currently working on my thesis on the civil society involvement in Turkey-Armenia reconciliation process. How did you get involved in the Freedom Book Fair? I met Tayfun and Bedel in Switzerland on a conference about peace and justice. Then they invited me to be part of this project and share my experiences for which I am very happy. What does the event Freedom Book Fair and the panel discussion mean to you? You do not have a lot of opportunities to speak about peace so every time there is a space with people who work on peace and a space where you can share your thoughts and ideas, you should be happy to be part of it. As, unfortunately, in our days there are not many platforms to speak about peace. That is why it is really important for me to be here. During the panel discussion, you have mentioned that it is important to create space of dialogue and peace. Which kind of methods would you use to achieve this? First of all, we should change the language we use. We need to clean up the language of hate speech. The role of media in this is big. It can create peace atmosphere by simply using dialogue language, changing the language of hate. We need to bring people together and they need to have more personal contacts. That is the thing that really works. It is not the fastest way to resolve a conflict but it does work. I believe person to person contact is really important for peace building. What are your future perspectives? I never set up clear plans and just go with the flow mostly and then I decide what I want to do. I hope to continue working on these topics either in academia or journalism, or both. What gives hope to you? All events like this one by the Hague peace project and the idea that there are others who struggle for the same values, for peace. What is your message for the world? Even if we do not agree in the political views, we should leave space for others to speak out and to build a space for dialogue. On the evening of the 24th of February, around 140 people attended the Somali Poetry Night. From Sayid Abdullah also known as the Mad Mullah by the British, to modern day poets as Hadraawi and Idaajaa, all have used poetry as the main method of communication in times of War and Peace. The speakers were Zaynab Dahir and Abdirahman Abtidoon. Zeynab is educationalist and author of several children books and educational books. She is an activist and promoter of the Somali language among Somali children raised in the UK. She runs her own organisation, Galool Somali, which publishes teaching materials for learning Somali. Abdirahman Abtidoon is a promoter and an activist of the Somali language, art, storytelling and educationist as well as the writer of several books. He is an avid linguist and grammarian as well poetry reader. Both had an introduction into the background of Somali poetry an the role it played during the different episodes of war and oppression in Somalia. After that came the real poets: Susu Amina, Malique Mohamud, Qali Nur and Nawal Mustafa all shared their own poetry or famous songs and poems by others. Between the different parts of the program, Abdi Baadil, a famous Somali poet, sang songs and played on the Somali lute. This evening was not only about the various forms and uses poetry and enjoying different forms of poetry such as Gabay, Geraar, Buraanbur and Heeso. But especially it was about bringing together a community: the large majority of attendees were young people with a Somali background. The athmosphere was very open, lively and warm. The Hague Peace Projects is organizing “The Hague Freedom Book Fair 2017” from 24th until 27th of February in order to peacefully fight for an essential human right – freedom of expression – and show our deepest solidarity to people who are putting their lives on the line for it. During the Freedom Book Fair we will present books and publications from all over the world, related to the topic of freedom of expression. The Book Fair is open every day from 1 pm until the last event. We are proud to present books from writers and publishers all over the world. Banned books from Turkey, work from Bangladeshi writers in exile, Somali publishers, Dutch books related to freedom of expression and much much more! Take a look at the website of the Freedom Book Fair to get an idea and visit our Book Fair, from 24 till 27 February from 1 PM till our last event! The discussion “Freedom of Expression, Dialogue and Conflict Resolution in Bangladesh” is part of The Hague Freedom Book Fair 2017. This event will take place at Monday 27 February from 6:30 until 8:30 at the Nutshuis, Riviermarkt 5, Den Haag. For the last few years, Bangladesh is facing unprecedented crisis of democracy and freedom of expression. Human rights violations have reached sky high. The country is now deeply divided in ideological and political line. After the 2014 troubled national election, the country has become effectively a one party regime. On the other hand rise of radical forms of Islamism, terrorism and violent tactics of some of the government opposition have made the country both unstable and also provided legitimacy to the iron rule of the current regime. An increasing conflict between the Secularists and Islamists that claimed many lives also provided opportunity to the Government in passing several draconian censorship laws. Murder of secular writers, police crackdown on bloggers, activists, writers, publishers, ban on books, newspapers and other forms of media have become regularity. With the conflict between religious, ethnic and political lines escalating, and with the arrival of international terrorist outfits such as Al Qaeda and ISIS, diversity of ideas, opinions and origin have never faced a stiffer challenge in the history of the country. How do we want to shape the future of our country? You are very welcome to join the discussion! Entrance is free but registration required. The discussion “Voices of Dissent; Persecuted Non-Religiosity and Threatened Religious Diversity in Bangladesh” is part of The Hague Freedom Book Fair 2017. This event is organised by The Hague Peace Projects, Mukto-Mona and Humanistisch Verbond. It will take place at Sunday 26 February from 3 PM to 5:30 PM at Nutshuis, Riviervismarkt 5 Den Haag. Bangladesh is a secular Muslim country. However, citizens who have questioned religion, have recurrently been targeted by Islamic extremists. For bloggers, intellectuals and writers who have openly critiqued religious conservatism in their writings, the consequences were severe. Since 2013, there have been deaths of dozens of bloggers and activists, to name a few, Rajshahi University professor AKM Shafiul Islam, literary publisher Faisal Arefin Dipan, and bloggers Avijit Roy, Oyasiqur Rahman Bubu, Ananta Bijoy Das and Niloy Neel. The death of these bloggers and activists not only caused grief but also created a well-connected community of Bangladeshi bloggers who seek for constitutional change in Bangladesh. The need for change is necessary from the core of Bangladesh citizens, democracy and for the safety of those who are putting their lives on the line for freedom of expression. This event is a commemoration in solidarity with the Bangladeshi people who died because of their critical stance. Documentary: Razor’s Edge made by Mukto-Mona. You are welcome to join us. Entrance is free, but registration required. From Sayid Abdullah also known as the Mad Mullah by the British, to modern day poets as Hadraawi and Idaajaa, all have used poetry as the main method of communication in times of War and Peace. This evening we will talk about the various forms and uses poetry has in bringing together a community. We will certainly not just talk, but mostly enjoy different forms of poetry such as Gabay, Geraar, Buraanbur, Heeso and much more. No idea what those are? All the more reason to come and be properly introduced to Somali Poetry! Zaynab A J Dahir: Educationalist and author of several children books and educational books. Zaynab is an activist and promoter of the Somali language among Somali children raised in the UK. She runs her own organisation, Galool Somali, which publishes teaching materials for learning Somali. Abdirahman Mohammed Abtidoon: Abtidoon is a promoter and an activist of the Somali language, art, storytelling and educationist as well as the writer of several books. He is an avid linguist and grammarian as well poetry reader. Entrance is free, but registration is required. Looh Press aims to provide excellent selection of Islamic/African Studies books, with special focus on Somali Studies. Our special mission is to provide high quality literature on the history, culture, politics of the Somalis. At Looh Press we have a motto of preserving the classics by reprinting and representing to a modern generation. History is not only in the past for us, it is here, in the now. In the Islamic Studies field, we provide some of the best publications of some of the best books in the Islamic Sciences, focusing on the classical text with a modern editorial touch. On the 24th and 25th and 26th of November 2016, The Hague Peace Projects together with ISS is organizing a second Diaspora Conference on the Great Lakes Region with as main theme: “The role of media in conflict and peacebuilding”. We would hereby like to invite you for this event. The Hague Peace Projects tries to facilitate a positive environment in which dialogue among all parties is encouraged. Analyzing and discussing the conflict enables the diaspora communities to contribute to peacebuilding processes not only in their home countries, but also in their diaspora communities abroad. Last year’s conference topic was “The root causes of conflicts in the Great Lakes Region”. It left rooms for discussion and dialogue, which is necessary in order to create unity among diaspora groups. This year’s conference will deepen the dialogue and understanding by focusing on this one specific topic. The first day of the conference will be mainly about the function of media in the Great Lakes Region. While the second day will focus on the role of media in conflict and peacebuilding. The third and last day will be connecting the topic of media with the diaspora groups. More information and the general outline of the days will follow. Admission will be free for diaspora and students. For others the tickets are €20,- (payment at the door).Registration is required, reserve your seat here.